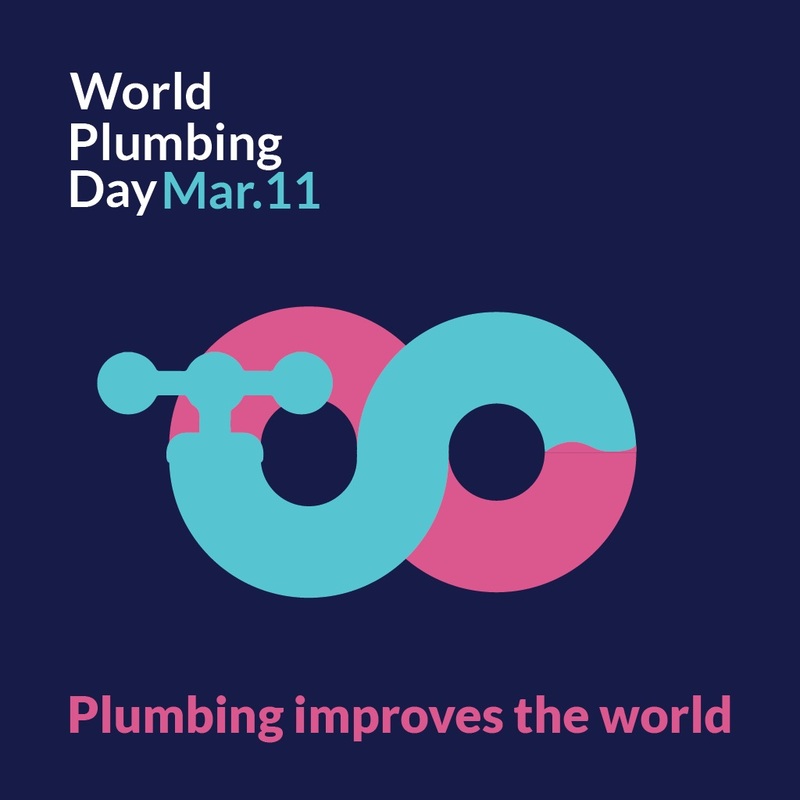 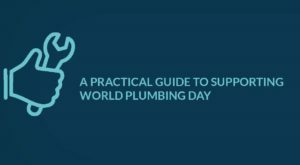 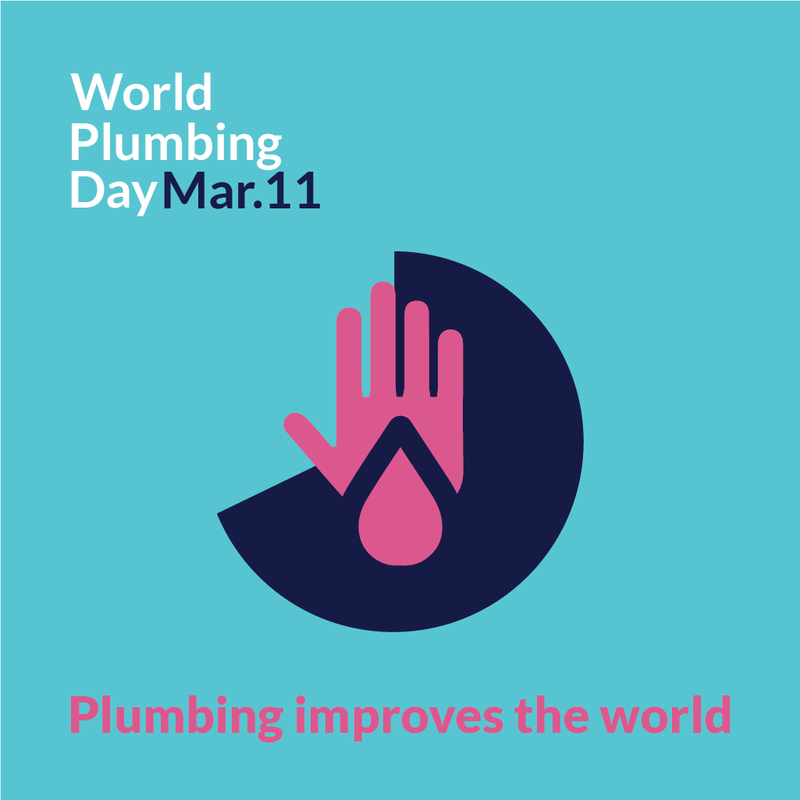 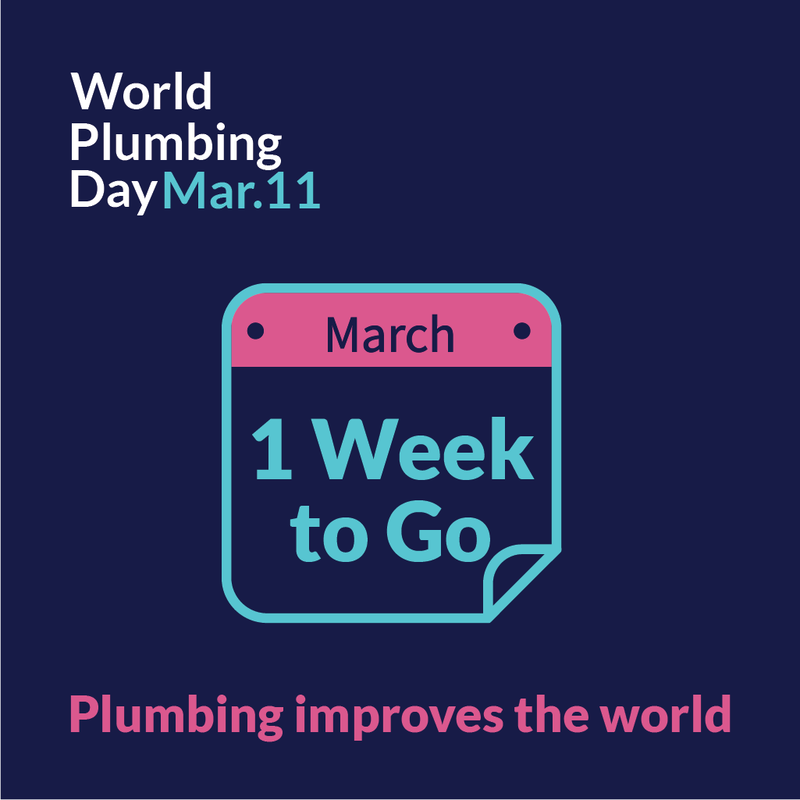 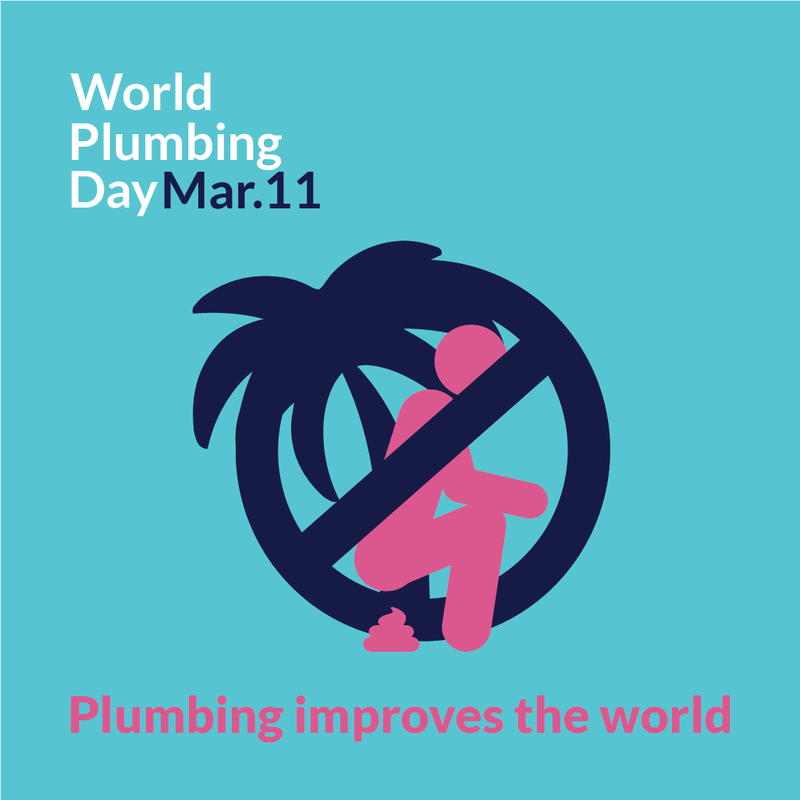 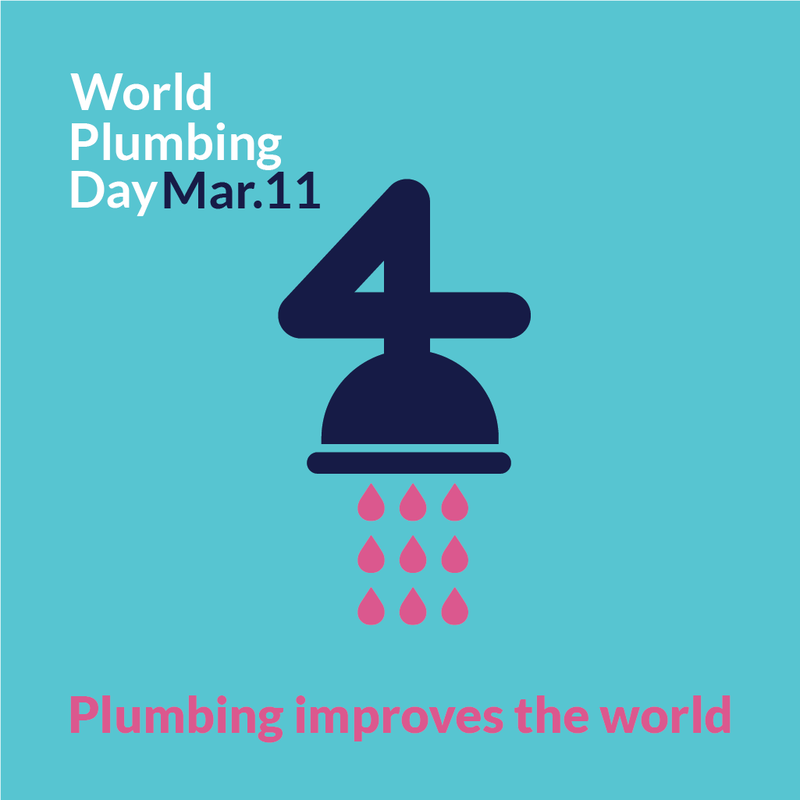 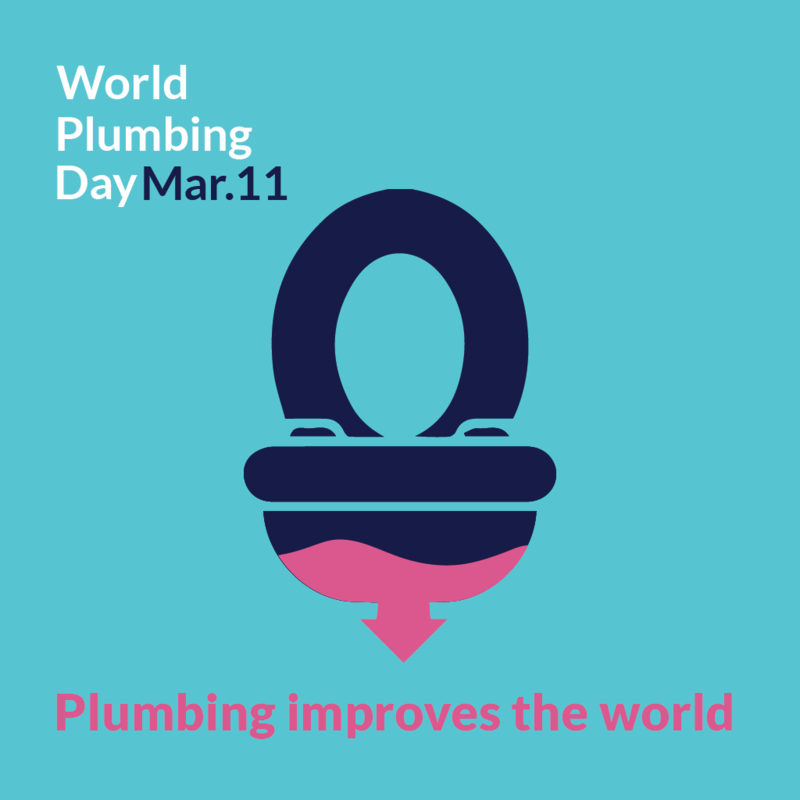 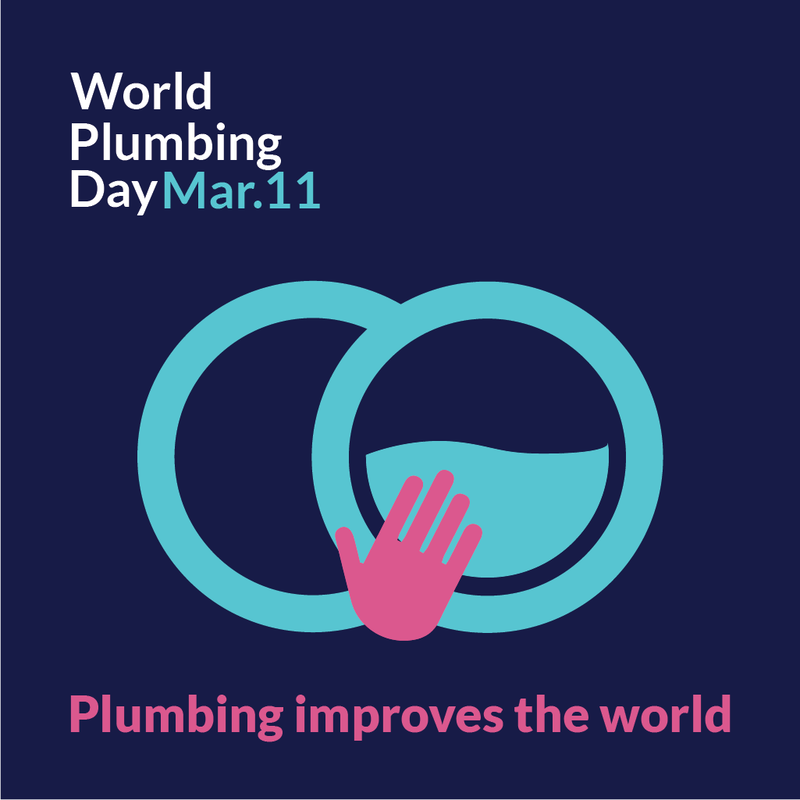 The World Plumbing Council have put together a number of resources to help support and celebrate World Plumbing Day. 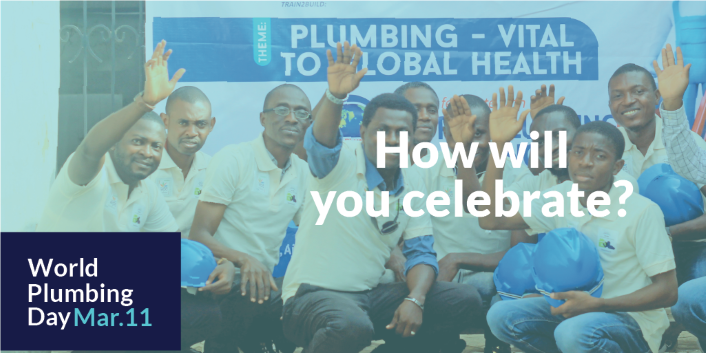 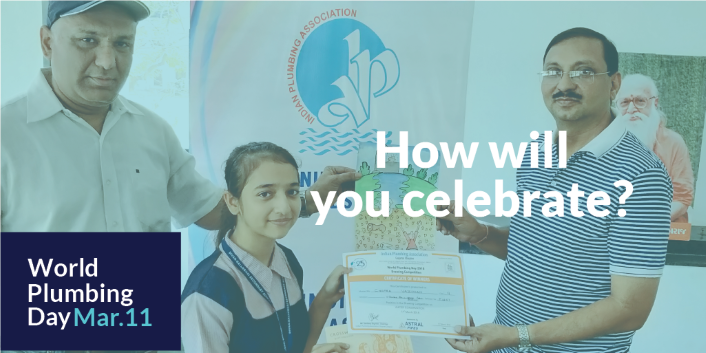 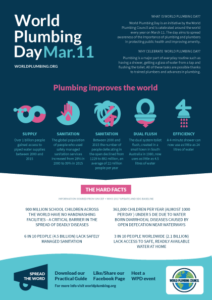 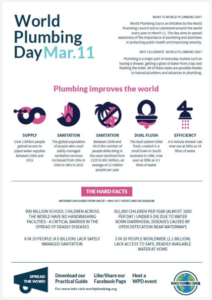 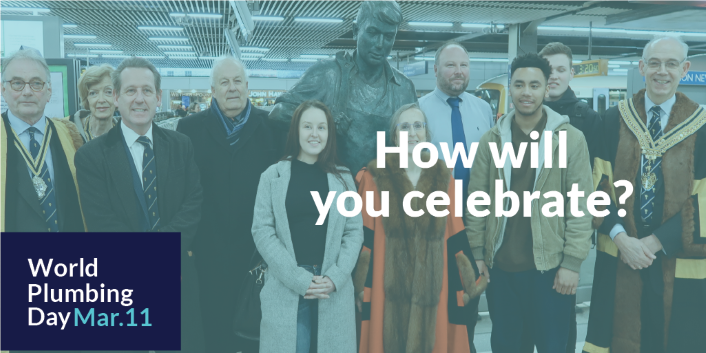 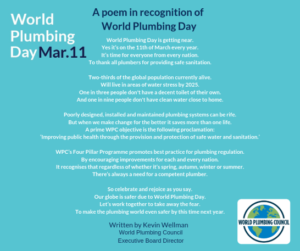 A practical guide has been created as a simple step by step explanation of what World Plumbing Day is, reasons why the world should celebrate and world plumbing facts to help spread awareness and a host of ways to celebrate. 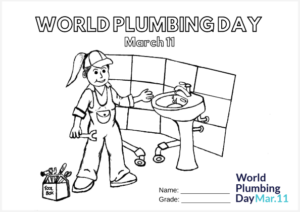 There are two options for fact sheets about World Plumbing day. The first has two versions, one full colour or the more printer friendly alternative. 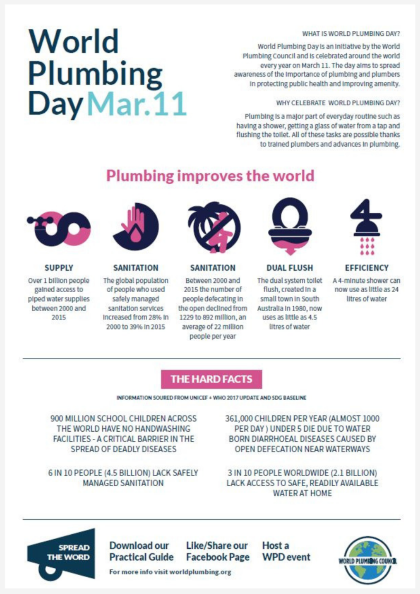 This fact sheet concentrates on the improvements in world plumbing but also highlights that there is still an enormous amount of plumbing development needed. 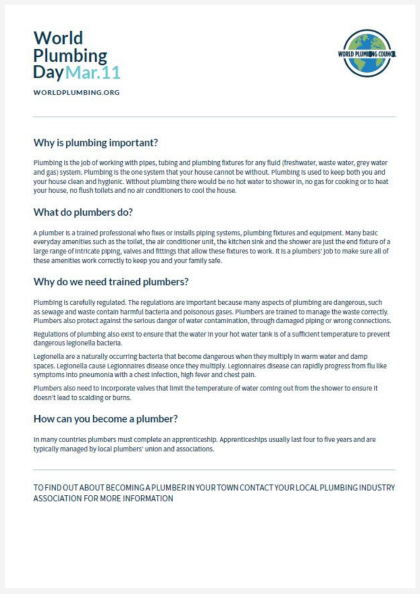 The second option is about plumbing, the profession, why the world needs plumbing and how to become a plumber. There are three different posters for World Plumbing Day. 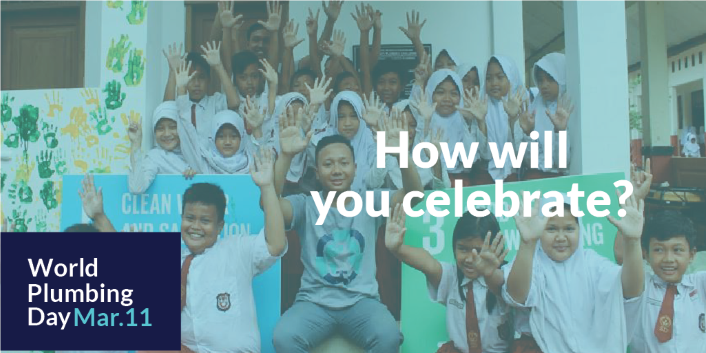 It allows the option to select the best poster for your school/work place or you can use all three. 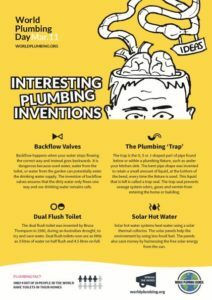 Each poster touches on a different subject about plumbing. 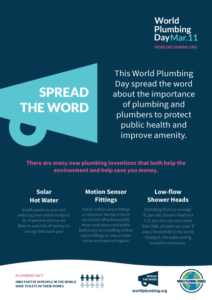 Place these posters in a lunch/break room, on the back of toilet stall doors, at the reception desk of your office and anywhere else you can think of or hand them out to your clients. 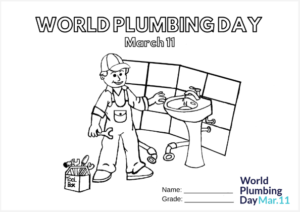 A colouring-in template, both a female and a male version, has been created for children too young to design their own poster or for anyone who loves to colour! 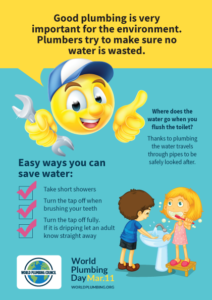 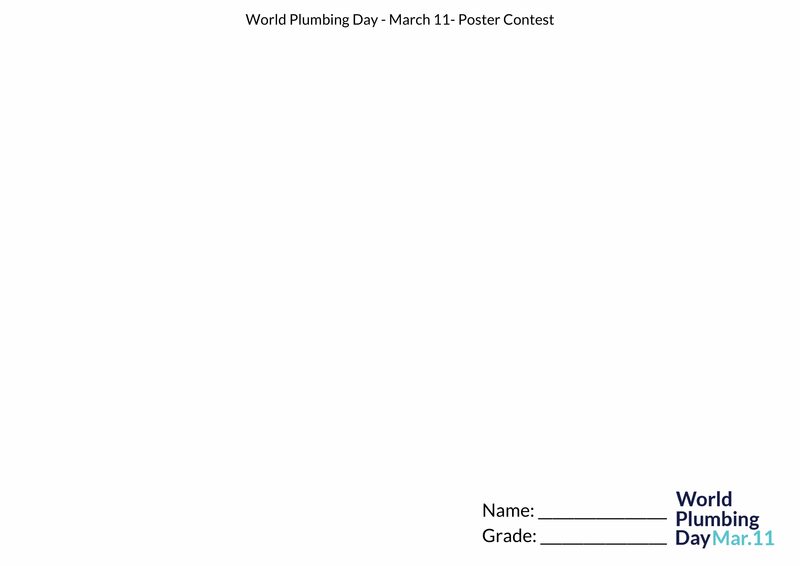 In class poster contests are a great way to get children to think creatively about plumbing and water usage. 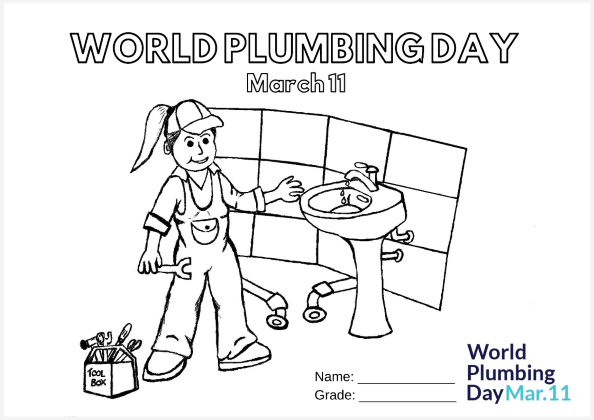 A template has been created for children to design their own World Plumbing Day posters. 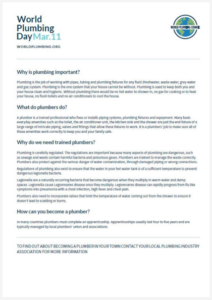 An easy to follow and present PowerPoint presentation to teach children about plumbing, plumbers and why it is important for the world. 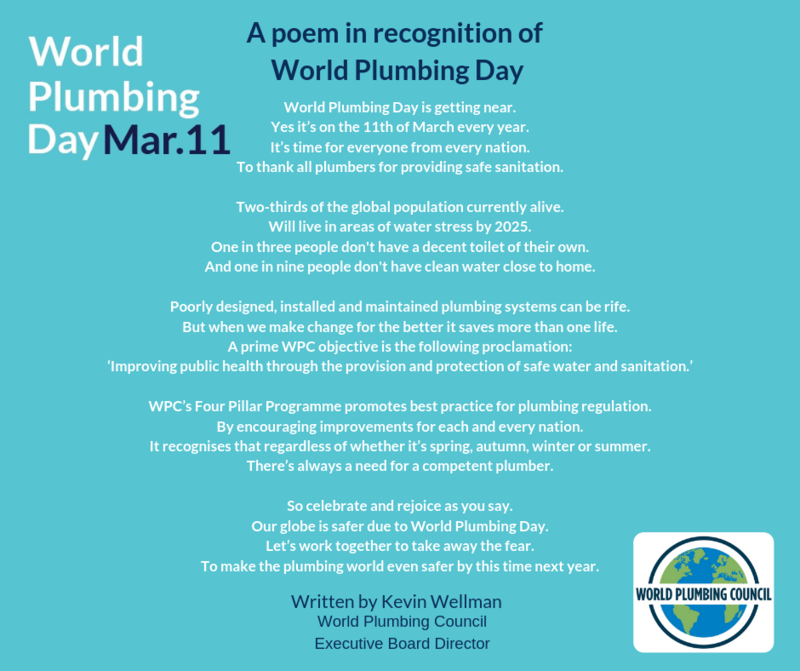 World Plumbing Council’s Executive Board Director, Kevin Wellman, wrote a poem in recognition of World Plumbing Day. 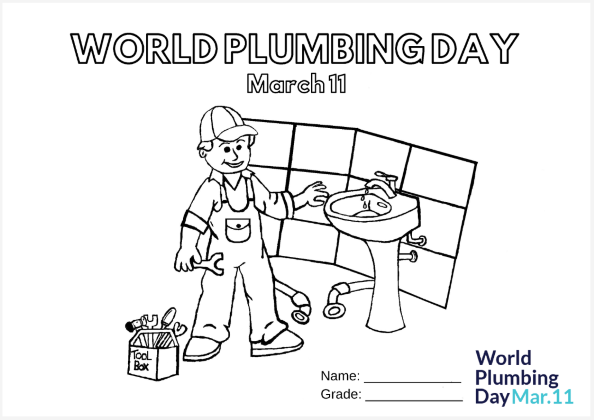 It is an example of a fun and creative way to celebrate World Plumbing Day and the importance of plumbing to improve the world. 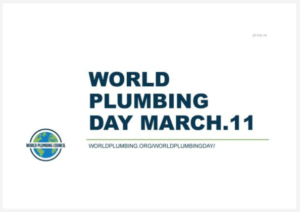 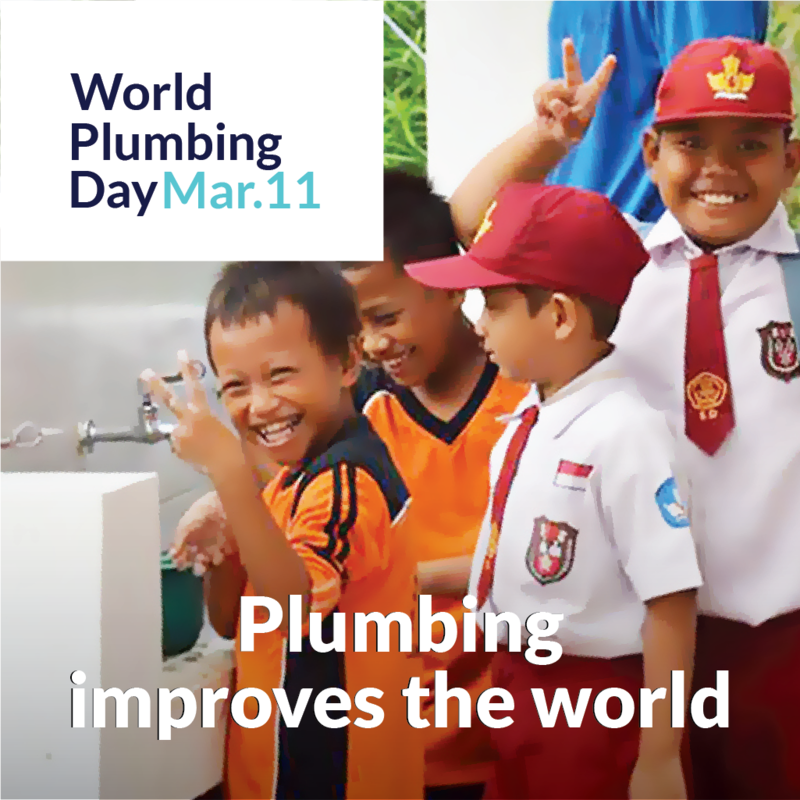 The World Plumbing Council have created a wide range of social media posts for the World Plumbing Day Campaign. 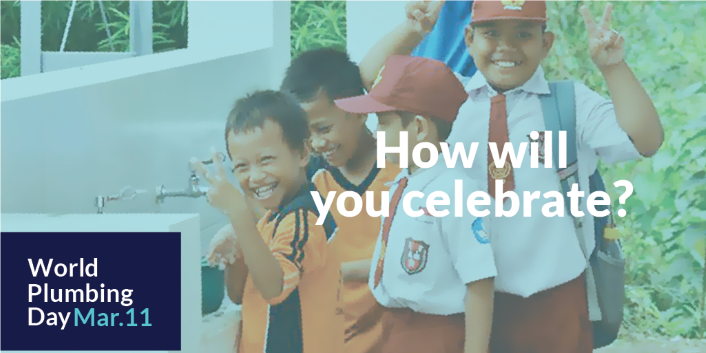 Please like and follow the accounts on the different platforms and share the posts.